It seemed fitting to use this book for a meal to make amends and celebrate the recent and forthcoming parental birthdays. 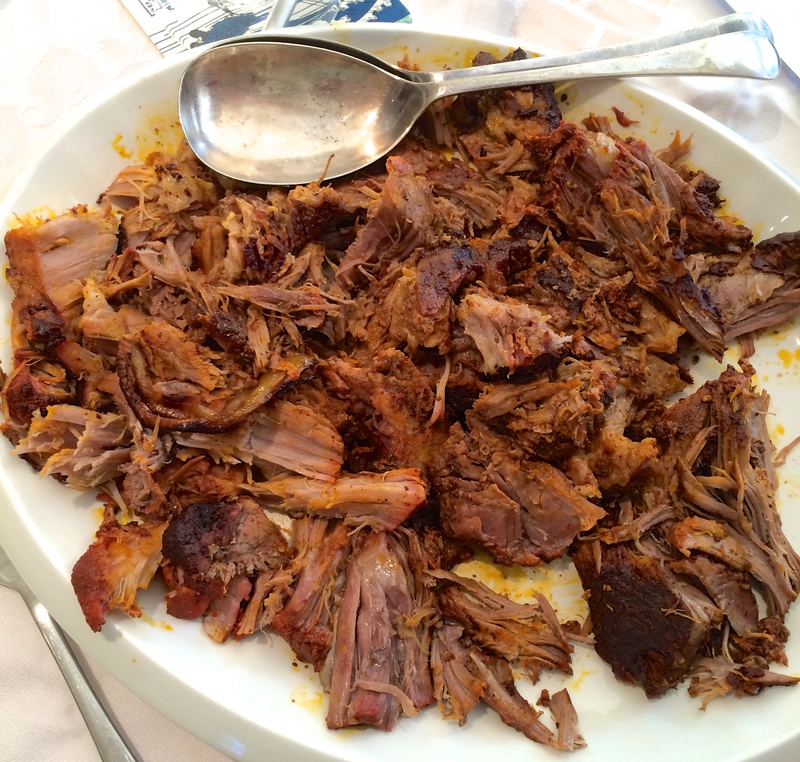 I picked a Mexican slow roast pork shoulder – this was marinated overnight in a sauce of orange juice, oregano, white wine vinegar, olive and achiote paste (a paste made from a Mexican/Peruvian shrub). I ordered the achiote paste from Cool Chile and discovered from their website that Cinco de Mayo is an important day in the Mexican calendar. Although there is no Mexican blood in the Battenburg family (I personally am Essex to my very core), it seemed like a good theme for a meal, so I served the pork with tortillas and tomato salsa, as suggested by the book, and I also made some guacamole and a little dish of sour cream and chives, just because I really like them both. 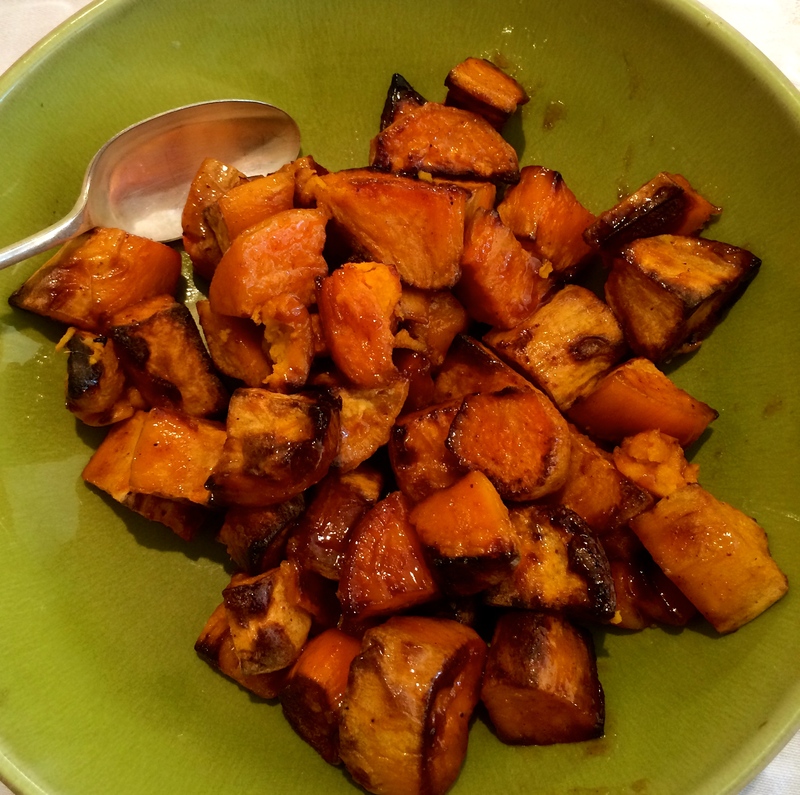 I had some sweet potatoes, bought in a moment of “special offer” over excitement, so I served them in a vaguely South American style – roasted in olive oil and chilli powder for about 20 minutes and finished off for another five minutes with a honey, lime juice, cinnamon and chilli glaze. They were particularly delicious in my opinion. And the pork was great, very tender and accompanied by a rich spicy and oniony sauce. I also discovered just now on revisiting the website that Cool Chile have a shop in Borough Market, so next time I can just pop there on the way home from work and find more lovely stuff to fill my cupboards with! 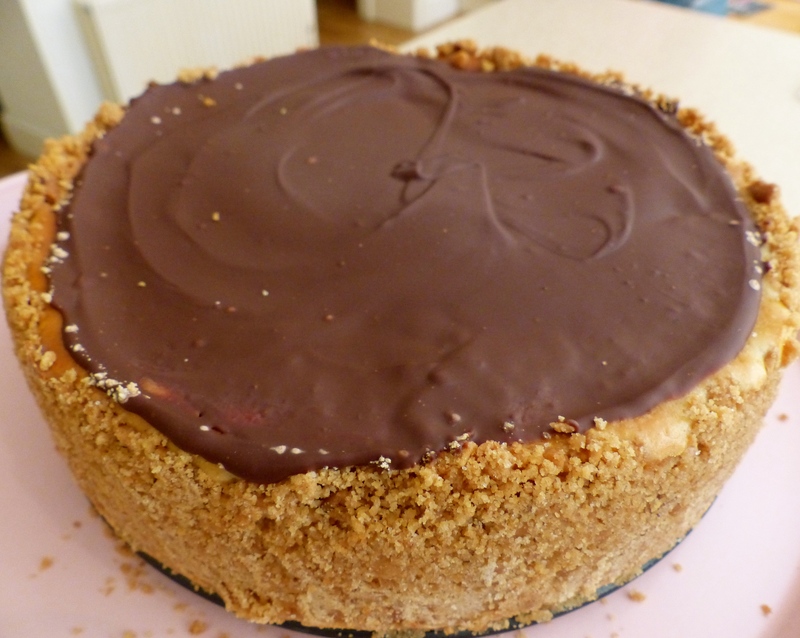 Dessert was Mexican-style too – dulce de leche cheesecake. Had to start this on Friday evening to make the dulce de leche in time. There are various ways of doing this and after much research I went for an easy one, but one which does require vigilance: simmer your tin of condensed milk over a low heat for about four hours (having first pierced the lid to avoid messy explosions). Do NOT forget about it or it will boil dry. I put my timer on for half hour intervals, just to be on the safe side. I didn’t use ginger biscuits as suggested in the recipe, as I just don’t like them very much. I also didn’t use quite enough butter, so the base was a bit on the crumbly side. 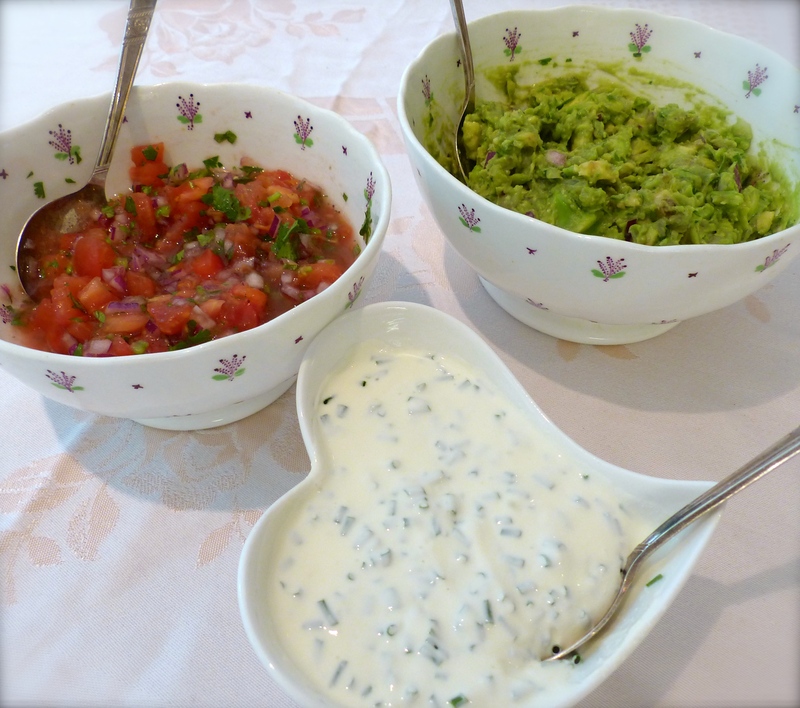 The recipe is from Paraguay (which I am aware is not Mexico) and hence all measurements were in ounces and cups, so the quantities were a bit vague, but it worked perfectly. You stir the dulce de leche into the cheese mixture once it’s in the tin, so you end up with lots of little pockets of caramelly loveliness. Once it’s cooked and cooled, you finish it off with a layer of melted dark chocolate into which you have carefully stirred a small amount of chilli powder. Fabulous – it seems those Mexicans know how to end a celebratory meal! And I think I am back in Grandma and Grandpa B’s good books.